WASHINGTON – Despite efforts to secure U.S. points of entry, drug cartels have the networks, money and technology to continue smuggling drugs into the U.S., law enforcement officials told a House committee Thursday. Even if they don’t always have the resources, these “transnational criminal organizations” have proven “incredibly innovative, incredibly resourceful” in finding ways to evade border patrols, said Coast Guard Vice Adm. Charles Ray. He was one of four law enforcement officials testifying at a House Homeland Security subcommittee hearing on the “dangerous and sophisticated adversary” that U.S. officials face in drug cartels. Her district borders Mexico, where she said police are ill-equipped to deal with cartels and where the Southwest border itself is a “dynamic place” with a variety of terrain requiring different ways of patrolling. McSally said there is a “continuous public safety concern” in her district over drug trafficking. She said about half of the drug interceptions in the Tucson sector found smugglers more than five miles north of the border – reaching into areas where many people live. 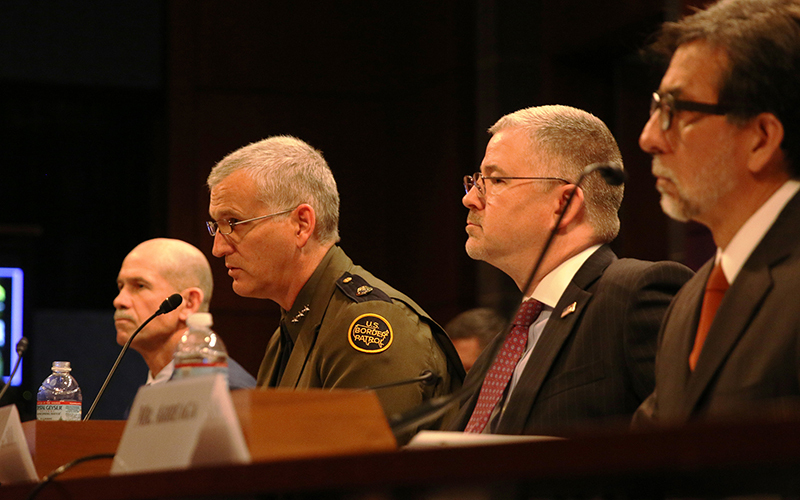 Paul Beeson, the U.S Border Patrol’s chief agent in the Tucson sector, said during his testimony that a barrier along the border cannot be the only line of defense against the cartels. Beeson, who also commands a joint task force from Tucson overseeing activities along the Southwest border, said U.S. agencies have developed a good working relationship with Mexican law enforcement that can help stop drug smugglers before they make it to the border. “We want to make sure that we got the capability to interdict anything that does make it across,” Beeson said during his testimony. But the cartels are still finding ways to get past border security, witnesses told the committee. They said that drug-trafficking organizations small and large have found creative ways of out-maneuvering border protection, including scouts that find out when border patrols shift their attention away from certain areas and vehicles that blend in with normal traffic. The “ingenuity” some of these groups display in smuggling drugs by water is “really impressive,” Ray said, noting that with relatively few resources some groups have been able to build ships in trying environments that are still capable of sailing long distances and carrying 7,000 to 8,000 pounds of cocaine. But Ray also said that agencies do not always have the funding to address the smuggling threats. 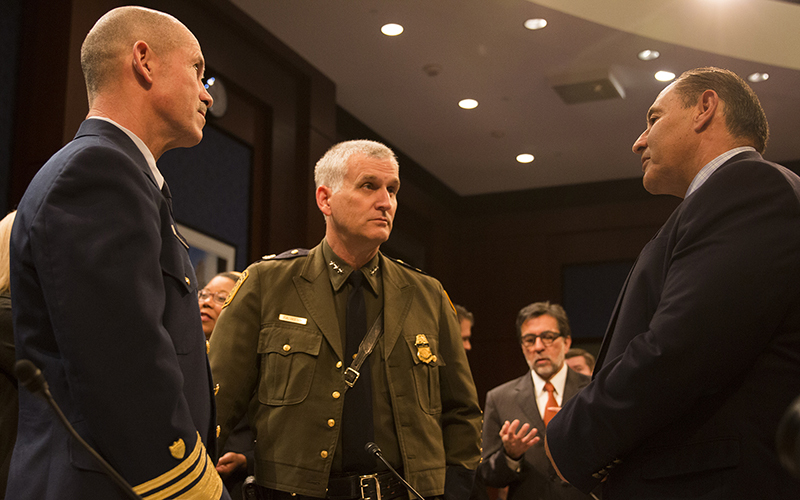 Border agencies may never be able to ensure a 100 percent smuggler-proof border, Ray said, but there are gaps in border security efforts that could be improved with additional funding and, particularly, additional personnel. Committee members were generally supportive of the agencies testifying, with McSally saying the cartels should not be underestimated. 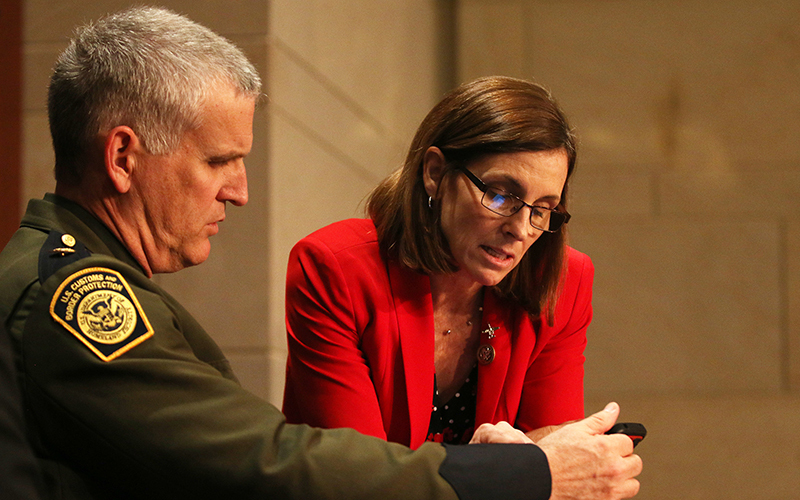 “Rest assured, the cartels will not sit idly by while we increase manpower, technology, infrastructure or adjust our strategy,” McSally said in her opening statement. “They will adapt, they will innovate – like they always do – and just plain sometimes outsmart us if we do not leverage the full power of all of us together to focus on countering the cartel network,” she said.